Amazing value over 1550 sq.ft. 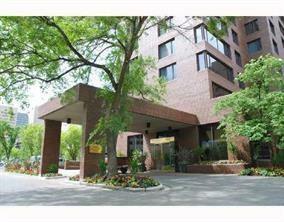 condo unit next to beautiful Bow River & Princes Island Park. The center of commerce, shopping and restaurants are all located within walking distance. One of Calgarys most distinguished locations. 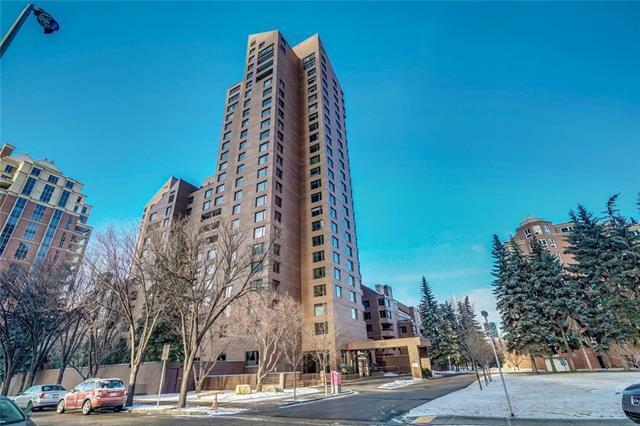 Only 2 units on any given floor which are accessible by twin elevators. This unit is waiting for your personal touch. 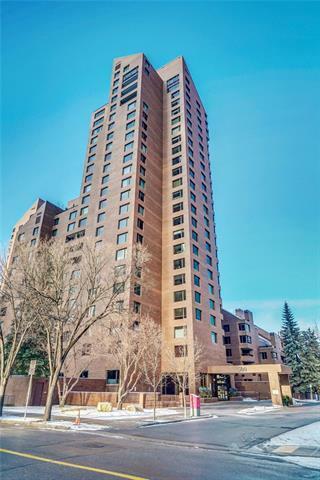 This large suite is offering lots of space, 2 bedrooms and 2 full baths, lots of natural light with large windows, spacious kitchen, in-suite laundry, and 2 balcony(one facing West with park view & one facing East with beautiful garden view). One titled heated underground parking stall. 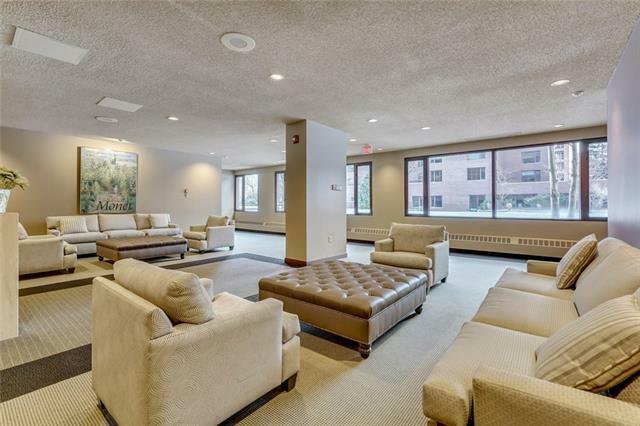 Exclusive building amenities are full time concierge service, on-site management, indoor pool, hot tub & fitness facility, amenity room, sun deck and BBQ area, and onsite car wash bay. This property and all appliances to be sold as is condition.